Wedding is an important affair in a girl’s life. On this special day, every girl wants to look beautiful, glamorous, and stylish. When it comes to the style of the bride, hairstyle is one important aspect that can’t be ignored. A perfect bun hairstyle can transform the entire look of the bride. This bun style best suits the bride in traditional weddings. This is a kind of “top knot” style, which can be best suited with a veil. 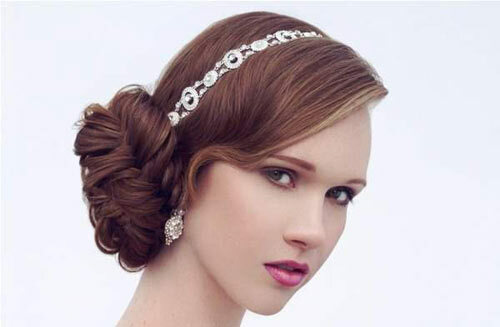 If the bride intends to wear heavy jewelry like head chains, then this hairstyle can best complement the ornaments. 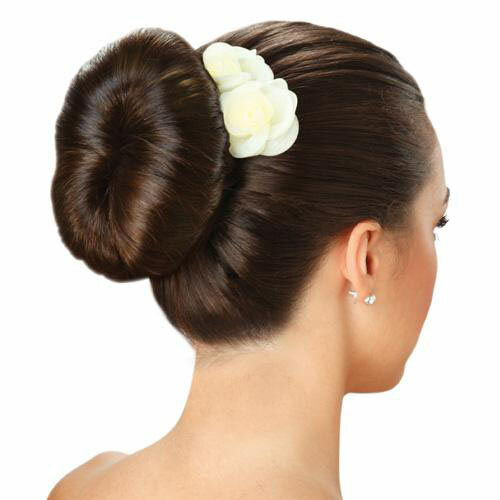 For giving a finishing touch to this bun, you can fasten it with transparent clips, and wear a glamorous tiara. If you closely watch the latest fashions in the hairstyle domain, then you can see that braids are gradually gearing up again. If anyone plans to have a braid-like hairstyle in the wedding, then the double twisted bun is the obvious choice. 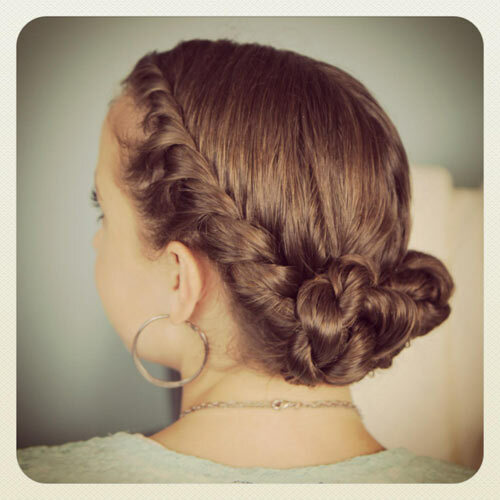 This hairstyle uses a combination of two braids and then tying the braids in the form of a bun. This bun has to be finished with a band, and it needs to be secured by pins. If your hair is thick and long, then it may prove to be difficult for you to manage the hair for a long time, and especially during the wedding day. If you want a timeless hairstyle, which is fashionable, secure, and very easy to manage, then Wrap-bun is the obvious choice. For giving a stylish finishing touch to this bun, you can leave some hair to fall on your face. It will add more appeal to the entire hairstyle. If the hairstyle turns out to be a mess at any point of time during the occasion then the entire look can go for a toss. In such situations, classic doughnut bun may be a life saver. This particular hairstyle does not take much of effort, is very easy to manage, and even a little piece of stylish hairpin can look gorgeous on this bun. When a slight change in the position can add to the style and glory, then such kind of hairstyles should never be avoided. 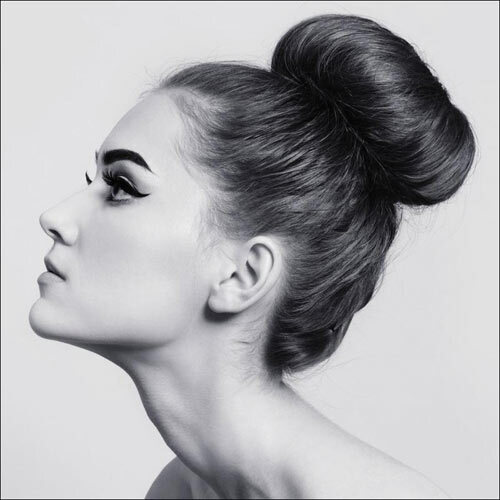 With outward curls in the hair, this bun is made either in right or left side of the head. This type of bun is extremely fashionable, and perhaps one of the very few hairstyles, which can go well with both wedding gowns and sarees. There are numerous other designs of bun, which are perfect for a wedding ceremony. If you feel confused about selecting the best option for you, then you can contact FNP Weddings & Events. They are one of the best wedding planners in Delhi. With the help of their team of experts, they can make your wedding day as the best and most memorable day of your life.